As I was wandering around Wat Po in 2013, it suddenly dawned on me how fortunate I was. The far-fetched dream of visiting places outside the Philippines has become a reality, and as luck would have it, I was able to return to some of these foreign cities. The same feeling enveloped me as I strolled around the cold neighborhood of Chicago. It took me five years, but I was back. 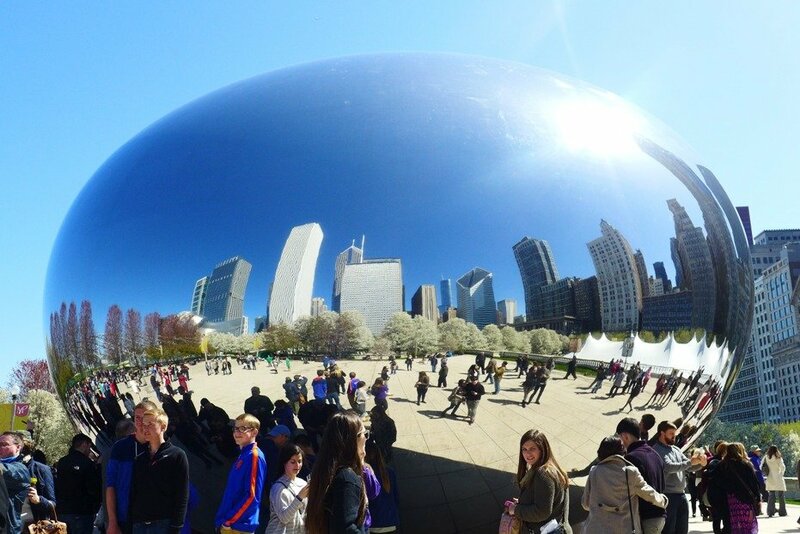 Of all the places I’ve visited in the US before, Chicago ranked as one of my favorites. 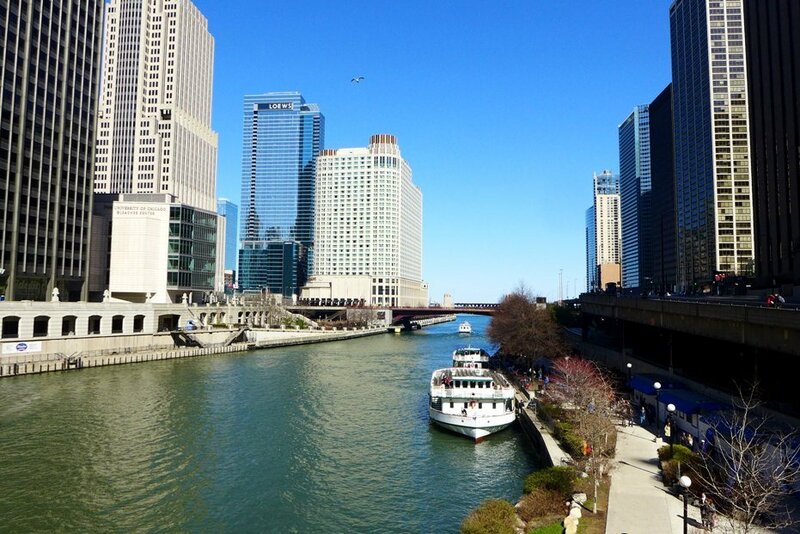 The blue green waters of the Chicago River snaking through the city, along with the towering skyscrapers and other architectural gems, were all part of my good memories of Chicago. The wind, strong enough to blow my cap away as I rode the sightseeing bus, was a very mellow preview of how the city got its nickname as the Windy City. Armed with a layer of clothes, we braved the harsh weather that fateful spring morning. Unlike before, we now chose to walk around the city, our favorite thing to do in foreign places. 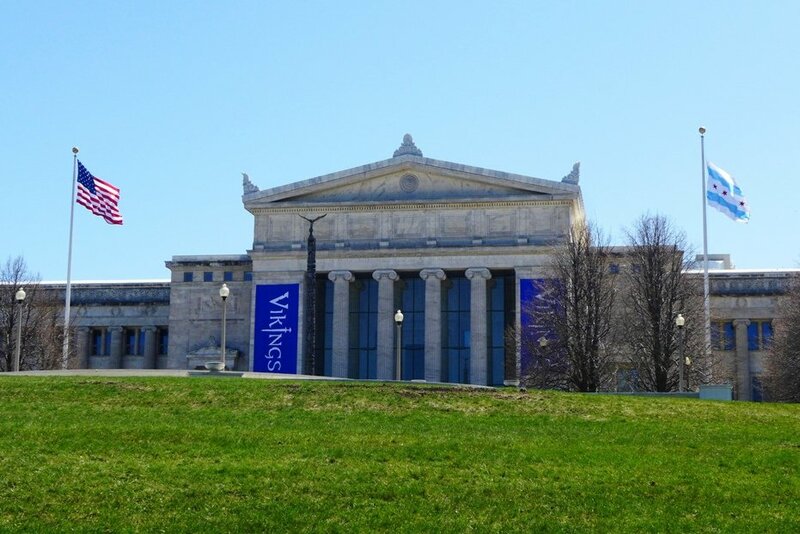 We headed first to the Museum Campus, even without any intentions of visiting the famous museums present in the area: the Field Museum, the Shedd Aquarium and the Adler Planetarium. 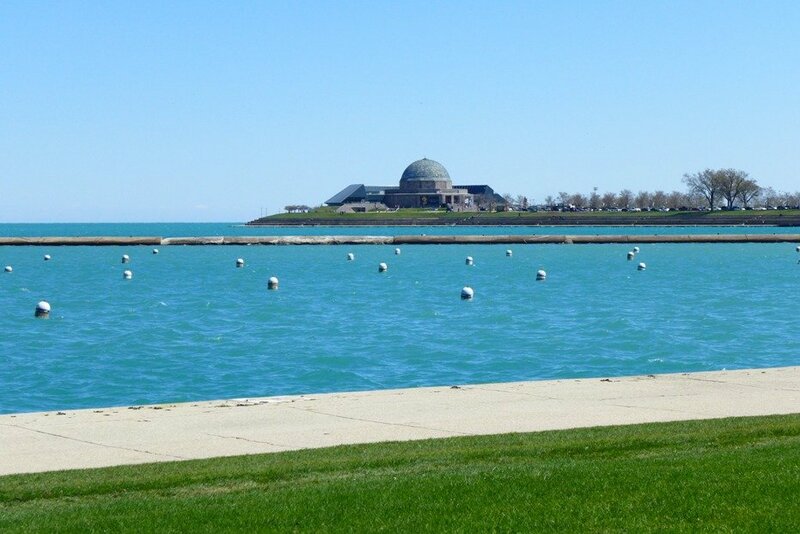 We strayed away from the museum path and followed the Lakefront Trail instead. It was cold. Despite being in the US for a couple of weeks already, this cold was different. The wind caused an unnecessary burden to our unused bodies. There’s no going back, though. Time to toughen up. 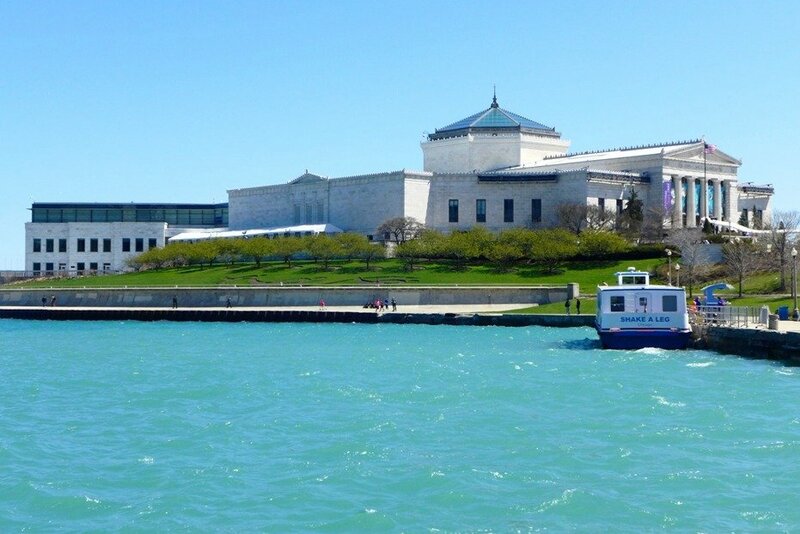 The cold wind blew incessantly as we viewed the serene waters of Lake Michigan. 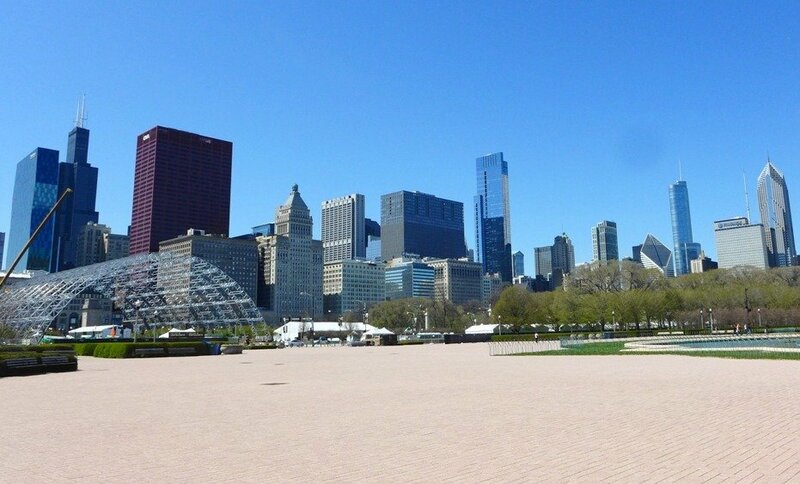 Slowly, we made our way to Grant Park, where the construction of a stage for the NFL draft was in progress. 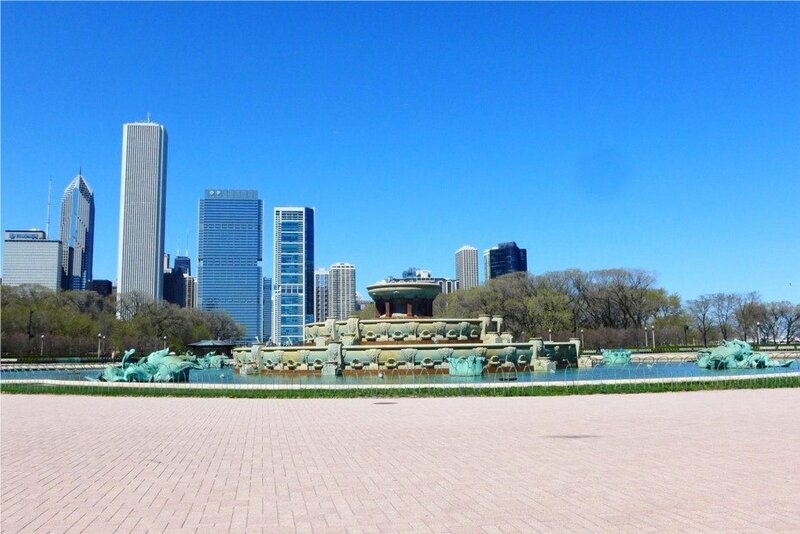 The Buckingham Fountain was not spitting out water, unfortunately, cutting our visit very short. 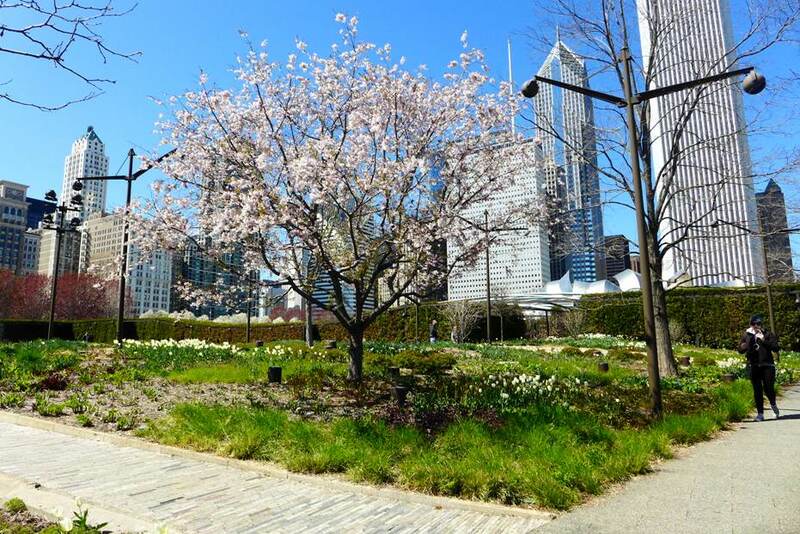 We proceeded to the Lurie Garden, where a lot of people crowd among the flowers in bloom this spring. 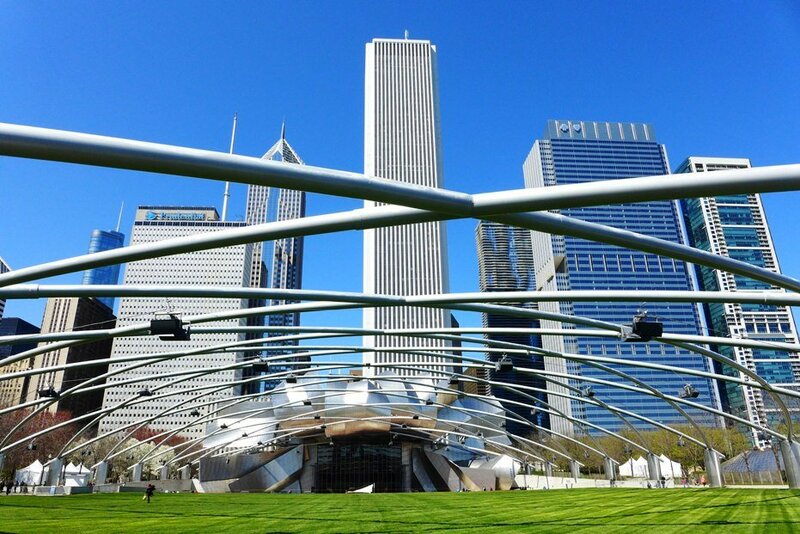 The Jay Pritzker Pavilion was empty — we were a tad too early for the free concerts in June. 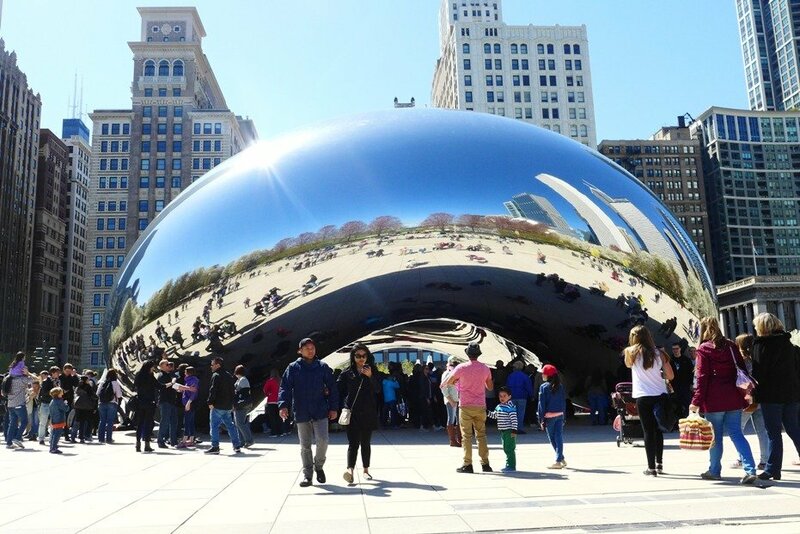 Finally, it was time for the Bean, a name coined by the locals for the flawless sculpture in stainless steel, formally called Cloud Gate. Its blemish-free surface served as a perfect canvas for your much needed selfie. The city’s skyscrapers are reflected on the sculpture itself, making it one of the best photos you’ve ever taken of yourself. Do not be surprised to see crowds, though. 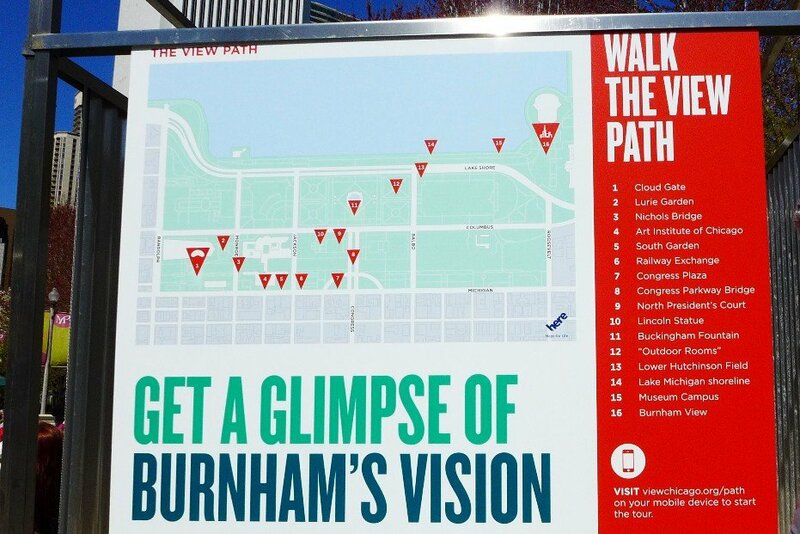 It’s truly one of the most distinct landmarks Chicago has to offer. 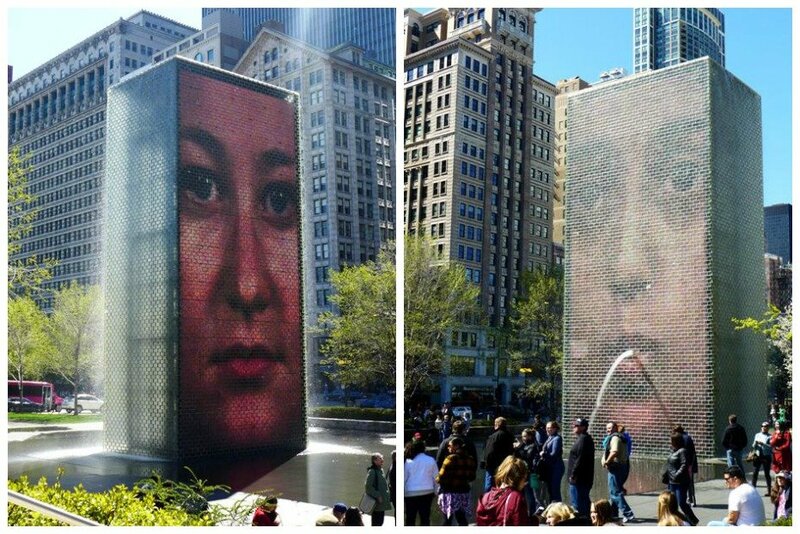 Following the blooming pear trees led us to the Crown Fountain, a set of two fountain towers featuring faces of locals spitting out water. 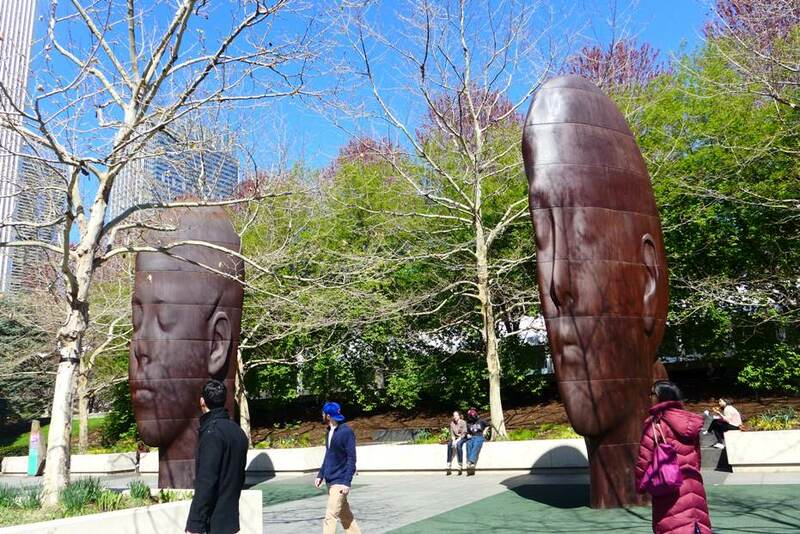 There were other outdoor works of art on display, humongous human faces in 3D but very slim in structure. 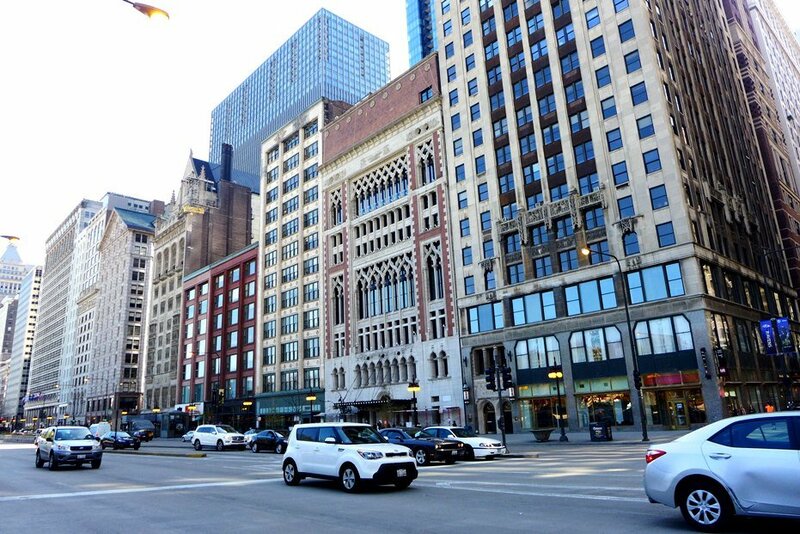 We headed north and walked along the famous Michigan Avenue. 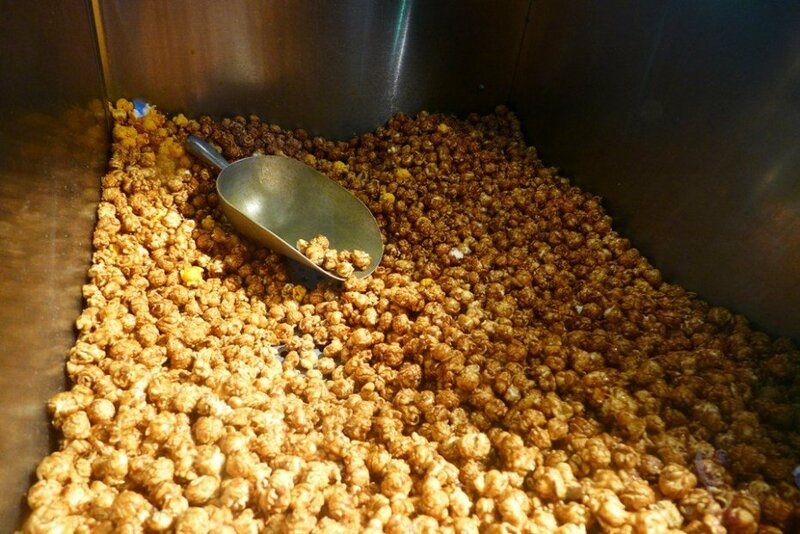 Garrett’s famous popcorn, a mix of cheese and caramel, made our rather long walk exciting for the stomach. 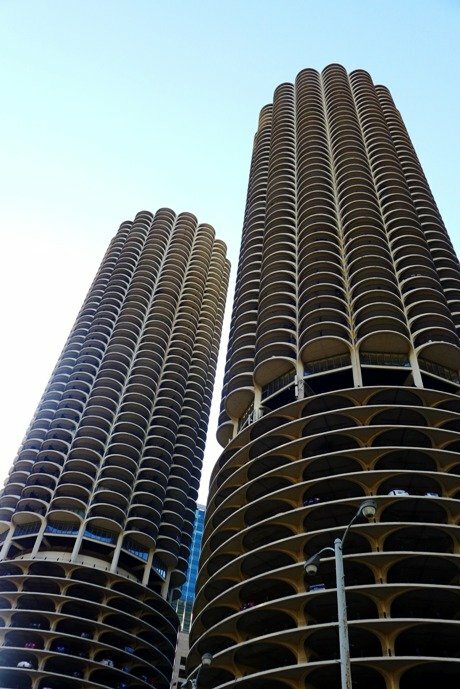 Soon, we began crossing the Chicago River and were welcomed by the city’s architectural wonders. 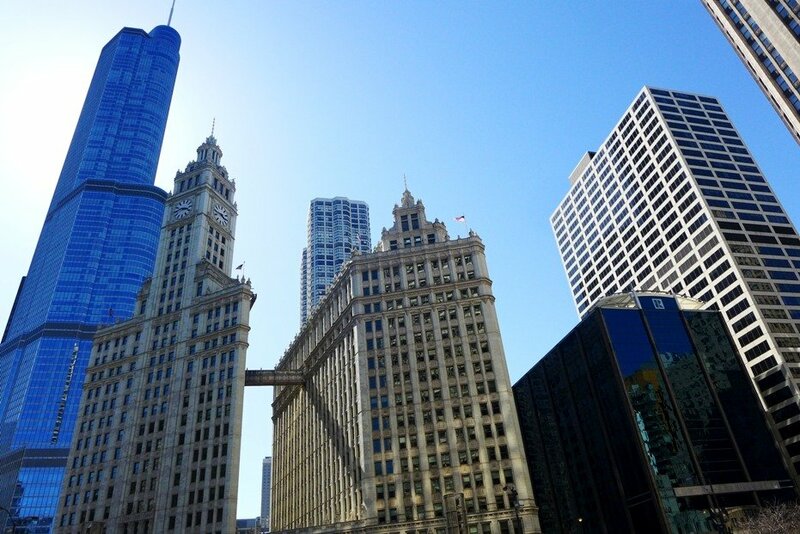 The Trump Tower, modern and shining through its glass façade, and the Wrigley Building, Gothic and massive in its build, were some of those that greeted us at once. 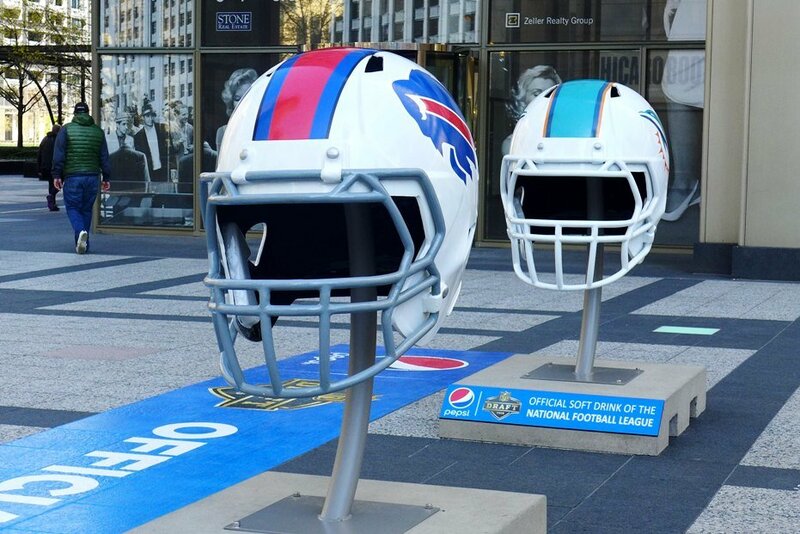 A field of giant football helmets were on display, marking the celebrations for the first NFL draft to take place in Chicago. 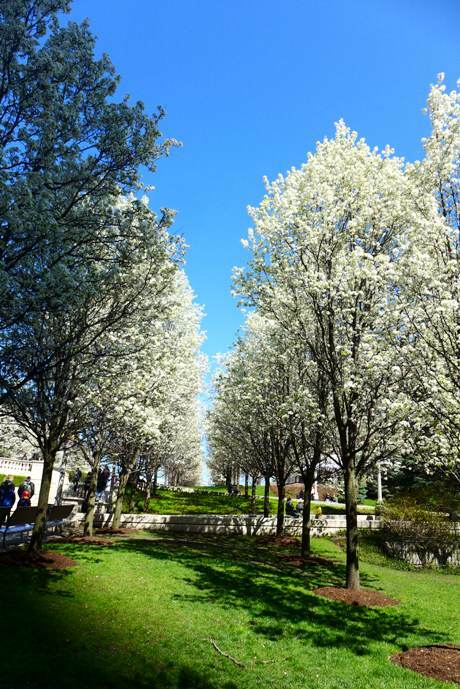 After taking a much needed break, we continued our walk and first studiedthe walls of the Tribune Tower, where rocks of famous landmarks around the world were cemented. 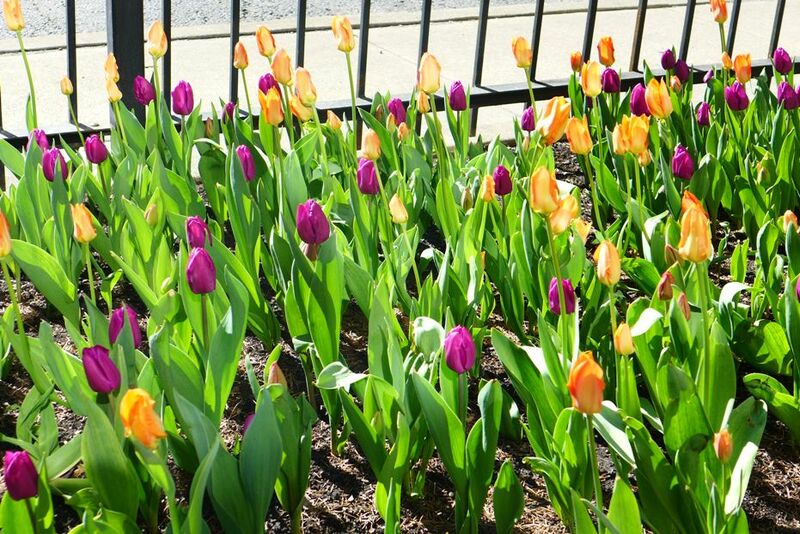 Along the Magnificent Mile, the mile-long stretch of shops along Michigan Avenue, a crowd of people battled the gusty winds and the cold — the homeless begging for change, the shoppers spending avidly. Some hastily made their way to their destinations; others took their time to wander. It was a sight to behold, not for its spectacle but for the plainness that the city life brings. 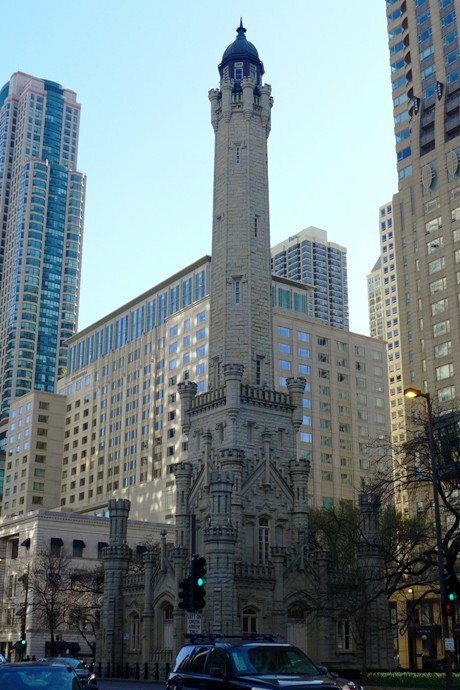 Soon, we were already at the Water Tower, one of the few buildings that withstood the Great Chicago Fire. 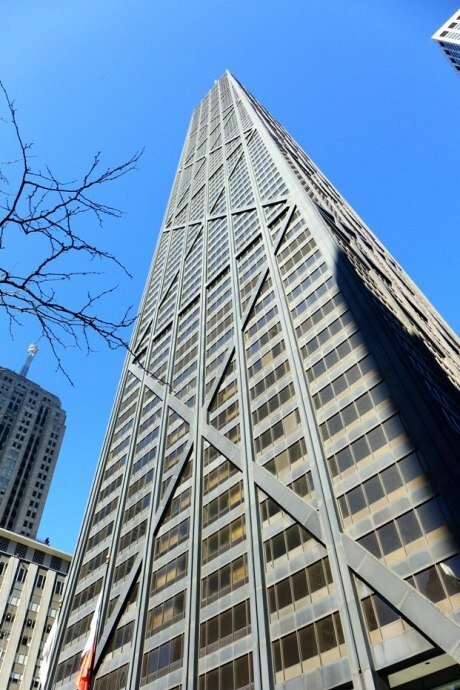 Further up north, the John Hancock Tower stood as one of the city’s more modern gems. A 360-degree observatory could be found on its top where you could see the perfect views. If you’re not up to shelling out entrance fees, hit the restaurant or bar, where the same scenery is offered for free when you buy a meal or a drink. Though the views were great, the cityscape from this angle underwhelmed me. Much of the buildings dwarfed in comparison to the towering skyscrapers, and giants took only a small portion of the city. 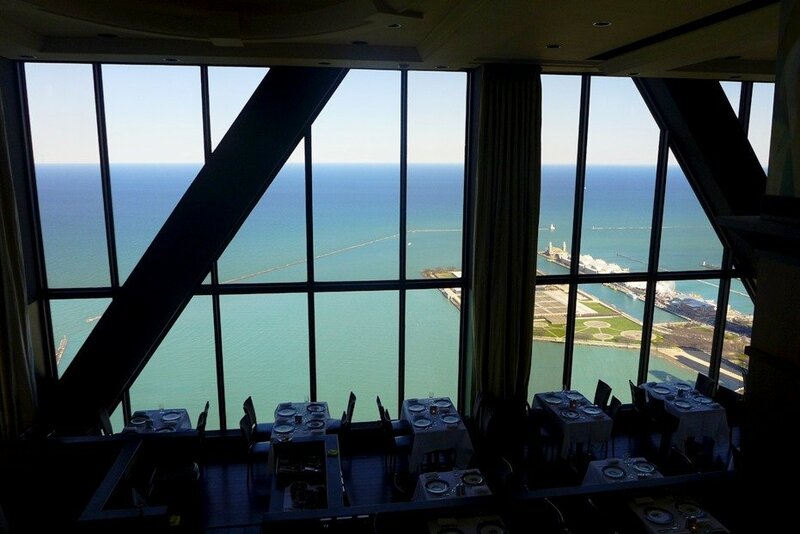 But on a clear day like this, Lake Michigan was seemingly shimmering in various hues of blue and green. We made our way back to the Museum Campus, walking along State Road this time around. 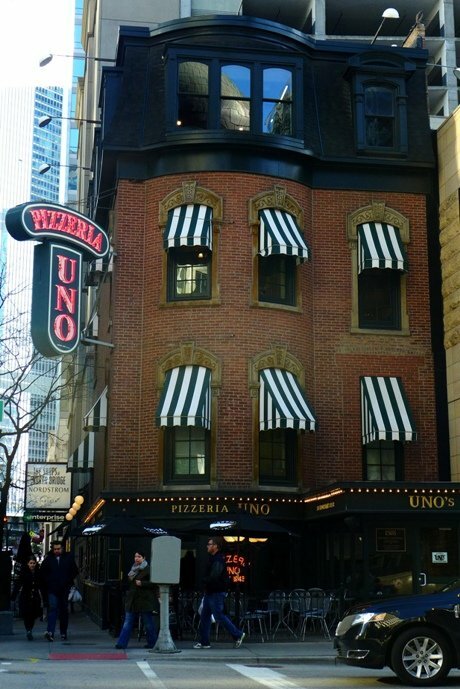 The corn-on-the-cob buildings of Marina City, as well as Pizzeria Uno and the Chicago Theater, were some of the interesting sights to behold. 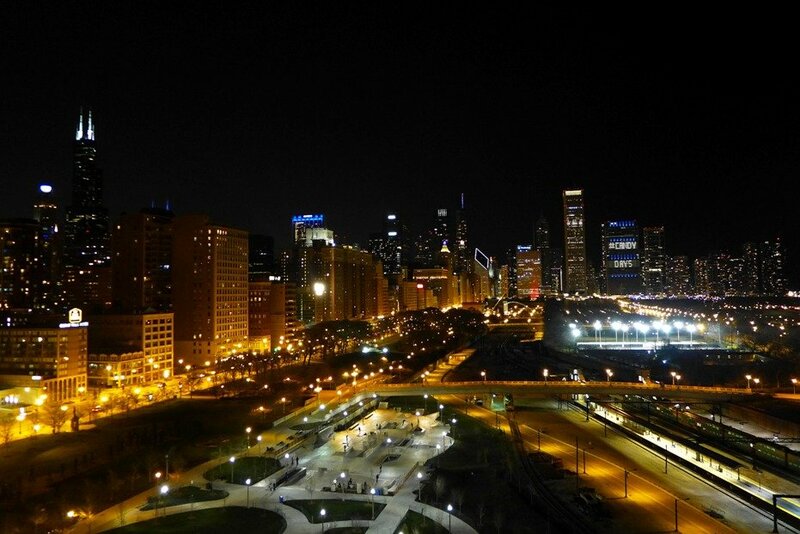 After sundown, I was mesmerized by the city’s sparkling view. It was surely one of the greatest skylines in the United States. 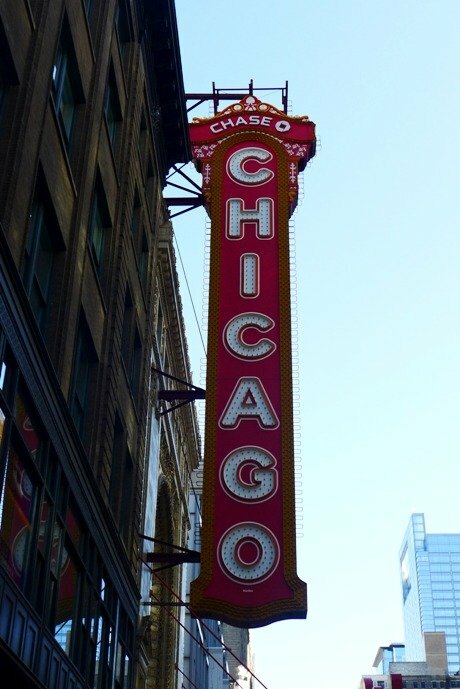 It has been a great day in the Windy City. More on our US adventure next time. Happy travels!